Whenever you visit any tourist destination you do take some time out to visit and shop in a local market of that place. This is an exciting experience because you get to see items, people, culture, tradition and lot of other stuffs of that place. Every place in the world probably has one market which attracts visitors. There is one such market in Yerevan, the capital city of Armenia too. This is Yerevan Vernissage or Vernissage Flea Market in Yerevan. Vernissage is a French word from which the name of this market has been derived. Vernissage word is used for a preview of an art exhibition. This market is also one such place. 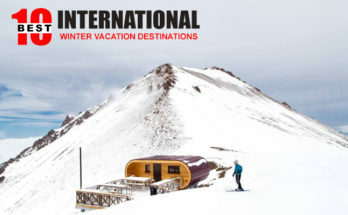 So when you are in Yerevan, Armenia with best Armenia Tour Package then you should taste a little of Armenia and a great fusion of national tradition and modern taste in Yerevan Vernissage. Let us explore this market a bit more. Yerevan Vernissage is in Yerevan, along Aram and Buzand streets with a length of 350 m. The market was formed in 1980s by Armenian artists. Earlier the market was small but over a period of time it was enlarged. In present times, this market connects two streets namely Hanrapetutyn and Khanjyan Street. It starts at the Republic square metro station and ends up with the statue of Vardan Mamikonyan. 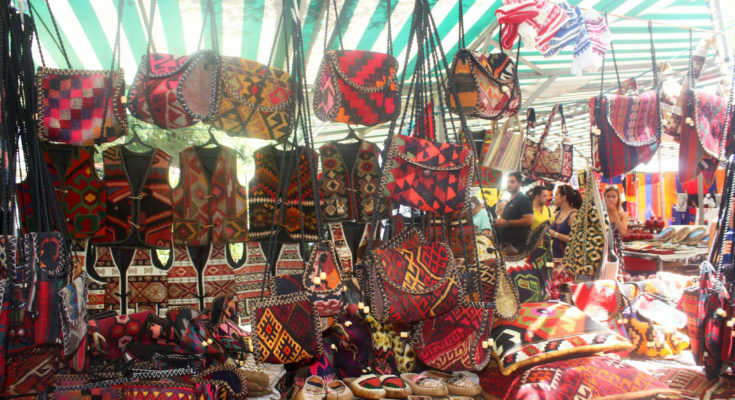 This market is place known for featuring collection of different types of traditional Armenian art works. Market is divided into two parts. One part is collection of art and craft while other is electronic items selling section. So, the part where art and craft collection is sold is found quite livelier. Vernissage Flea Market is an open market. This is one of the best open air markets in the world and most crowded market in Yerevan. This is a place where people come in large numbers no matter what is the weather. Hot, cold or rain, nothing stops people to come and shop some of the best souvenirs offered in the market. However the market is open and functioning on weekends only. 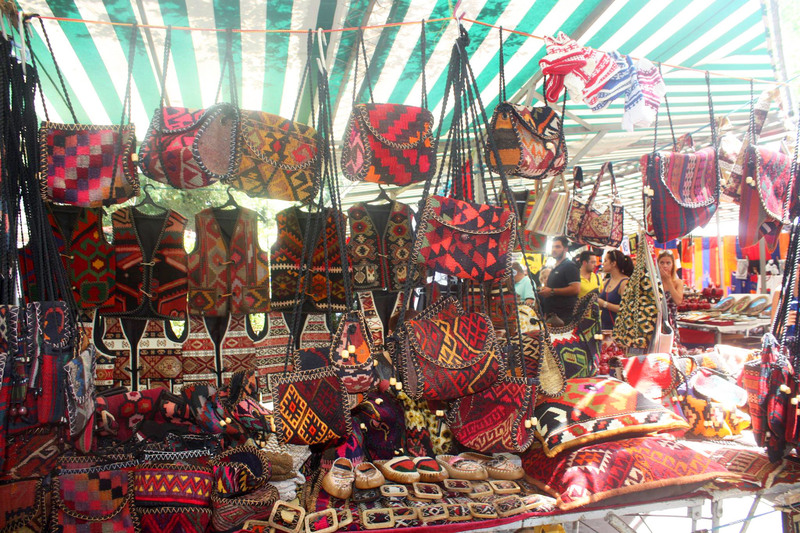 In Yerevan, this market is the best place to get souvenirs. 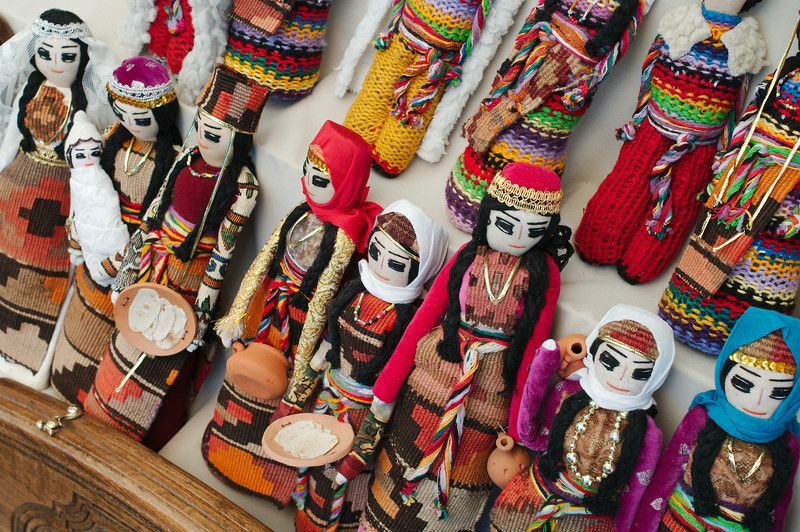 You can buy many handicraft items including ceramics, carved wood, stone, lace, needlework, dolls, paintings, jewelry and other things such as carpets, books and t-shirts. You not only buy your favorite item here but you can see unique way of selling things as well. When you pick an item in the market then you will also listen to long and elaborated description of that item from the seller as well. Seller praises so much about the item that you may instantly like to buy it. 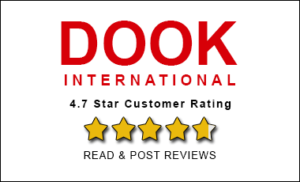 Sellers in the market understand English language and so you can communicate easily with them. And yes you must bargain hard if you really like an item and want to buy it. There is painting vernissage located in the French Park where you can approach any seller and ask about the specialty of painting. Seller will happily tell you the full story of the painting and also tell you that they or their sons or grandchildren made the painting. So, you realize that it is not just a place where you go and buy things but it is a place where interacting with sellers is also an amazing experience. Apart from that market is quite colorful and crowded on the weekends. 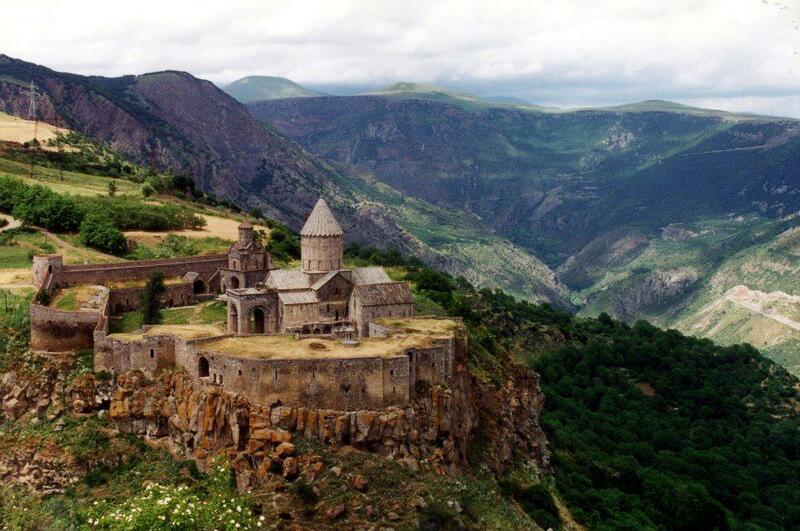 So, you can spend a good time in Yerevan Vernissage when you are in Yerevan with Yerevan Tour Package. 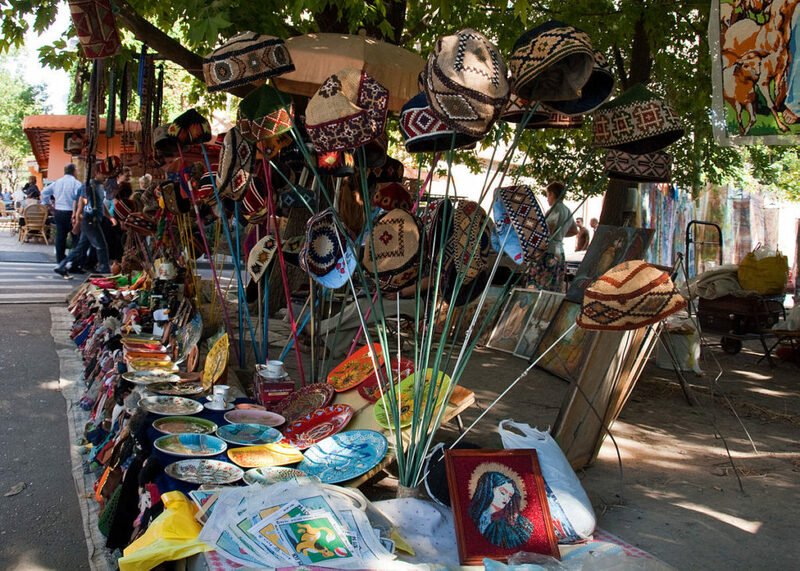 The Arts and Crafts Vernissage is located in the center of Yerevan on Pavstos Buzand Bulevard. 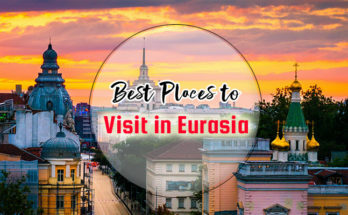 The Republic Square, The National Gallery and History Museum, the Cathedral of Saint Gregory the Illuminator and Marriot Hotel can be found nearby. The Paintings Vernissage is located in the French Park around Martiros Saryan Monument. Nearby places are the Opera House and Cascade. Generally Vernissage functions on the weekends but on the other days, it is also open. Here are the hours of opening and closing of Vernissage.